As Canada offers the best standard of education, and living along with clean and safe environment, it has become the first choice for the aspiring students wishing to pursue their higher studies from a foreign country. Canadais not only just the highly developed, industrialized and civilized nation with latest facilities and infrastructure, but also has pollution free environment, low crime rate and a longer life expectancy than over 95% nations of the world. On the account ofless population and high industrial advancement, it offers great job opportunities with permanent settlement options. Over 97% of our clients get visas although the overall visa success rate of all the students applying for the student’s visa from across India is low. Our students has been exceling in obtaining jobs during and after their studies. They are successful in getting Immigration easily after studies. Our students succeed in bringing their family to Canada while and after their studies. These questions are raised due to some specific reasons. Our Ethics, Efficiency, Experience and Expertise are extraordinary and it attracts thousands of students each year, who wishes to process their admission application and visa applications through us. Processing your Student Visa application through GEPSI – A Certified Immigration Services Provider (ICCRC Member) often comes with some exclusive benefits. GEPSI Consultancy has assisted thousands of students in obtaining student visa along with the admission in top notch colleges and universities of USA, Canada and New Zealand. We have over 15000 satisfied clients and have been operating from the same location for over Twelve years. Our ethical, sincere and dedicated approach has helped most of our clients in achieving their visas, career and migration goals. “GEPSI Immigration Services” has its office in Canada. It has been providing extraordinary benefitsto the students through accurate and ethical guidance on immigration or visa matters. Our Canadian office handles all sorts of Immigration and Visa matters and have been assisting clients from about more than 10 countries. Consultants who are not authorized cannot represent immigration or visa application and may possess limited knowledge. Unauthorized agents aren’t regulated by any authority in order to ensure accuracy, ethical service and sincerity. 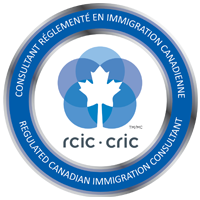 GEPSI Immigration Service’s Director Mr. ChiragNanavati is a Canadian Citizen and is Canadian Government Approved ICCRC Member. Heis authorized to represent your application officially to the Canadian Government. Sadly, there are number of unauthorized advisors, claiming to be able to get you a visa through dishonest means whose education, experience, whereabouts, criminal record, and ethics are not known by the government. Such advisor’s fake claims may lead you into a huge loss. Agents who are unauthorized and uneducatedmay jeopardize your career and goals. These agents provide attractive offers to lure clients and make money. Many abroad education agents have entered this sector with an aim to JUST make money. Due to lack of their efficiency, education, international exposure or ethics, these agents end up sending students into those colleges which grant maximum commissions and compromise on the quality of education. I request you to arrange an appointment with our Guidance Officer at GEPSI, so that we can analyze your application and suggest you the correct path based on your career and migration goals. ** GEPSI has served thousands of nationals with most ethical and economic solutions and will be pleased to offer you accurate and strategic options to meet your requirements. Canada welcomes thousands of students from around the world by offering excellent quality of education, safe environment, opportunity to work and eventually settle in Canada with their family. Canada offers range of programs in almost all the careers. We at GEPSI, have assisted thousands of students in by selecting correct program, in world class colleges/universities located in areas full of opportunities based on their career requirements. We at GEPSI can help you not only in selection of correct career pathway, but also in obtaining your student visa, and while you are in Canada, our Canadian office can help you in extending yours Study Permits, work permits, obtaining your post-graduate work permit, dependent work permitorin your application for permanent residency with or without your family. If you wish to study in a program which is longer than six months, you must obtain a Student Visa to Canada, which allows international students to study at Canada’s world-class Universities and Colleges. More than 500,000 students apply to come and study in Canada every year. This does not include people studying French or English as a second language. If you are planning to study in a short-term program in Canada of six months or less, you may study using your TRV / visitor visa. By giving us appropriate time, we can conduct a thorough research based on your academic history and career goal and can try our level best to find one of the best available option for you. Why are you not studying in your home country? What are your opportunities after graduating from the selected program? Representation of your visa application is very important. The PGWP allows students who have graduated from a participating Canadian post-secondary institution to gain valuable Canadian work experience. Skilled Canadian work experience gained through the PGWP program helps graduates qualify for permanent residence in Canada through Express Entry. A work permit under the PGWP program may be issued for the length of the study program or up to a maximum of three years if you have studied at least 2 years for full time in Canada. A post-graduation work permit cannot be issued for a study program which is less than eight months in length. If you graduate from a four-year degree program, 3 year advance diploma program or a 2 year diploma program, you could be eligible for a three-year work permit upon meeting other criteria. If you graduate from a nine-month certificate program, you will get a work permit for no more than nine months. Canada’s commitment to family unification means that international students and their families have an opportunity to experience Canadian life together. Whether it is for a few months or for several years, international students will be comforted to know that their loved ones can be nearby as they pursue their dreams of obtaining a Canadian education. Aninternational student may bring his or her dependents to Canada by one of two routes. A spouse or common-law partner who plans to work while in Canada has the option to apply for his or her Open Work Permit before entering the country, upon arrival to Canada, or after entering the country. I request you to arrange your appointment and meet us with all the educational and experience related documents, so that one of our Guidance Officers can assess your application and suggest you the right way to proceed further.